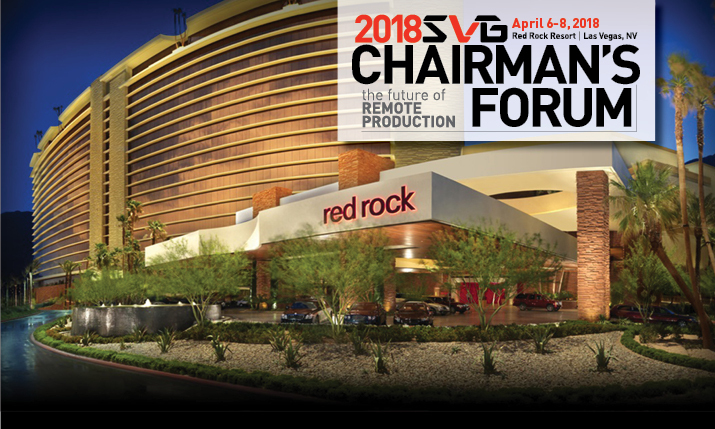 The 2018 NAB SVG Chairman’s Forum brought together sports production leaders from around the globe for two days of information exchange, panel discussions, networking, and more. 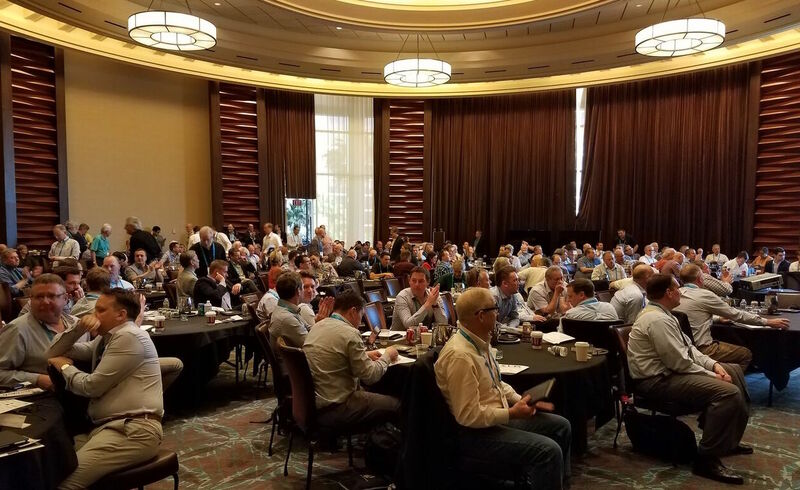 The invitation-only event was held from April 6-8, 2018 at the Red Rock Hotel and Casino in Summerlin, Nevada, located 20 minutes from the Las Vegas Strip. North American and European sports leaders on the top business and tech trends. Breakouts on Sports Content Management and Storage, and the Future of Remote Production. Keynotes, executive conversations, and case studies. Annual golf outing on the morning of April 7. Complimentary networking meals and receptions. 8:45 – 11:00 a.m.: This workshop is designed as an open forum for individuals responsible for managing, archiving, and protecting sports content. Led by SVG’s SCMS Advisory Committee, this two-hour roundtable discussion will provide media-management leaders from broadcasters, leagues, teams, digital outlets, and vendors with an opportunity to address a variety of hot-button issues currently facing the industry, including the rise of object storage, the impact of AI and automation, cloud and virtualization, logging and metadata challenges, cybersecurity and content protection, and more. 10:30 – 11:00 a.m.: Automated Production: Friend or Foe? In the first of a two-part overview of the sports production marketplace leaders in North American sports production take to the stage to discuss the current and future state of sports production. You competed for and won those (increasingly expensive) streaming rights. What do you need to do to make sure your viewers experience the very best of what you paid so dearly for? Akamai, the world’s largest live sports streaming CDN, will share what it’s learned from recent marquee events. One of the key jobs for the Prudential Center’s game presentation and event production team is to engage the Devils’ fanbase from the minute they step inside the 16,514 seat arena. The team does this by delivering video content to all the displays inside the venue. To create and distribute this video content, the production team has extensive technical facilities and wanted to supplement this with new technology to provide the fastest, most effective workflow for its gameday shows. In part-two of our afternoon discussion leaders from the sports production industry in Europe discuss the latest production trends and accomplishments in Europe. How are formats like UHD, HDR, and Dolby Atmos transforming content creation? Join SVG for a fun evening of awards, dinner, drinks, networking and a dinner conversation with Geoff Mason on The Evolution of Big Event Production. Sports Broadcasting Hall of Famer and industry legend Geoff Mason has a career that spans more than 50 years and has given him the opportunity to be part of some of the most compelling sporting events of the past five decades. He takes to the stage with SVG’s Ken Kerschbaumer for some dinner conversation about how big event productions have evolved, key moments that changed the industry, and how the past can be prologue for an industry about to undergo tremendous changes. For 31+ years, Dave Franza oversaw all production application development and related digital content and information processing technologies in the Broadcast and Engineering areas of NFL Films, with additional management responsibilities at NFL Network. He directed technological advancements contributing to the explosive growth in size and production capability at NFL Films and NFL Network for over three decades. When Eurosport snagged the rights to the 2018 Winter Olympics one question was on everyone’s mind: how does a sports production team make its Olympic debut by doing the unthinkable: delivering the games to 48 countries in 21 languages? It was a massive effort that required an amazing amount of planning, coordination, and discipline to make it a success. Eurosport executives take to the stage during this informative session to discuss how they did the unthinkable. In December 2017, Telstra supported the first live-to-air, uncompressed HD “at-home” production in Australia, using SMPTE 2110 over the Telstra Distributed Production Network (DPN) at a distance of 575 miles from Brisbane to Sydney. Since that historic broadcast, remote production workflows for sports and special events are available from 29 venues across Australia on the Telstra DPN, over distances of up to 2,000 miles. The Telstra Case Study will cover the objective and rationale for building the Telstra DPN, and outline the scope of the initial project and the underlying network requirements to bring live television from remote venues to centralized production hubs. Today, mobile is everywhere. Consumers continue to change their viewing habits, watching more and more long for video on their mobile devices. With over 78% of viewers using mobile devices to consume content daily, it is important to create engaging, interactive OTT experiences, incorporating advanced features and innovative viewing options, for their viewers on mobile. NAB 2018 promises to feature more and more systems that can automate production processes like operating a camera, audio mixing, editing, and even directing. What are the current limitations for automated content creation? What does it mean to the artistic side of production? And where do the people fit in? 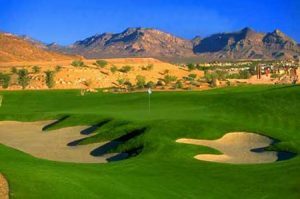 SVG will host the Sports Broadcasting Fund Golf Tournament on Saturday, April 7 at Bear’s Best Golf Course in Las Vegas, NV. Last year, attendees raised $12,000 for the Russell Gabay Memorial Fund. Register: For more information or to RSVP, please contact SVGW Director Karen Hogan Ketchum at [email protected]. Register: Space is limited, so sign up for the tour today! To register, please email Andrew Lippe at [email protected].